We are committed to giving back and making our community a better place. 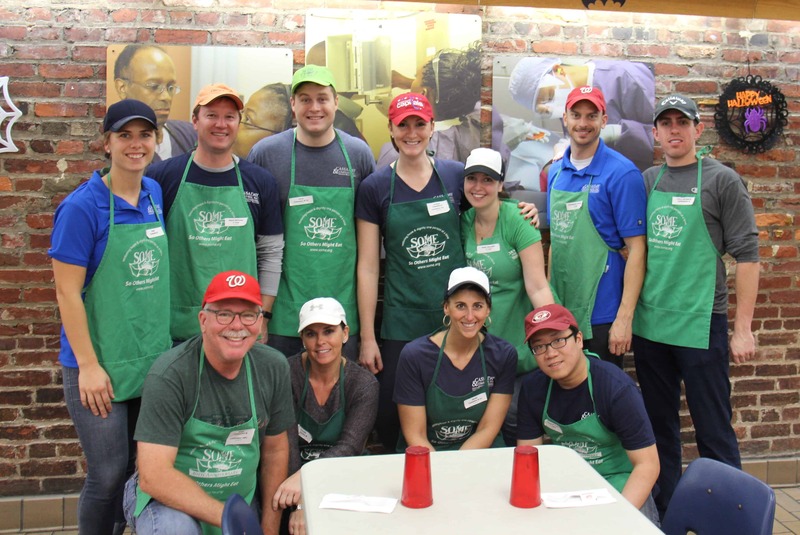 Our employees contribute to numerous causes and are dedicated to serving our community. The Cassaday & Company Charitable Fund was established in 2006 based on the idea that employees could have a much greater impact working collectively rather than through individual charitable donations. Annual donations are gifted to causes that support the fund’s mission. We recently made our 2016 donations to several nonprofit organizations—Wounded Warrior Project, PRS, Inc., So Others Might Eat (SOME), and Youth for Tomorrow. In addition to monetary contributions we also donate our time. For several years, we have organized volunteer days for staff members to volunteer at SOME. 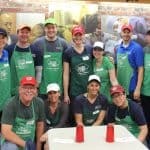 Cassaday employees volunteered for three different days this fall and winter, serving meals to nearly 1,000 people. We are also proud supporters of SOME’s Trot for Hunger, the annual 5K race on Thanksgiving Day which provides essential support for the poor and homeless, and helps ensure that hungry DC residents have a hot meal on the holiday as well as every other day of the year. Cassaday employees have both sponsored and/or participated in the event for the past few years. Cassaday staff volunteering at SOME in DC in November. Cassaday Director of Advanced Strategies, Carmen Bississo, Chief Operating Officer, Allison Felix, and her son participate in the 2016 Trot for Hunger. Cassaday team members Steven Pongrace, Nick Harris, Mike Carey and Drew Malay hit the links to raise money for a great cause. Cassaday & Company, Inc. advisors sponsored and attended the WJA Open Golf Tournament in September, benefitting the Washington Jesuit Academy. The firm sponsored a fundraising event earlier this month for A-SPAN, a non-profit organization which aims to end homelessness in Arlington.